Under the leadership of the Provost and Executive Vice President of Academic Affairs, the Office of the Provost supports all academic endeavors across the George Washington University’s 10 schools and colleges. The university has been reaccredited by the Middle States Commission on Higher Education (MSCHE), a voluntary membership association of colleges and universities located in the mid-Atlantic region. Institutions in MSCHE’s jurisdiction undergo reaccreditation every 10 years. GW’s accreditation remains in effect until the next review period in 2026-2027. 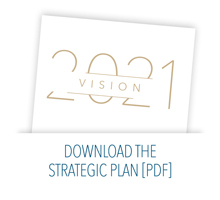 The initiatives outlined as objectives and actions of the university’s Strategic Plan seize upon the academic opportunities afforded by GW’s location, diverse and accomplished expertise, and advancing research, as well as the unique cocurricular experiences and passionate interests of GW community.